Review and revise line of credit loan documents and refinance of line for manufacturing company. Prepare sales agency and equipment lease agreements between US heavy equipment dealer and German sales agent governing sales activities in European and African markets. Prepare collaboration and IP agreements between firms to expand commercialization of niche patents beyond the packaging field to medical and transportation industry applications. Prepare terms of service/use and privacy policies, as well as terms of purchase or sale, for many client websites. Assist US non-profit corporation (affiliate of international non-profit corporation) with restructuring of governance including orderly exit and replacement of existing board of directors and executive officer. Prepare click-through and subscription-based software licenses for engineering group. Counsel internet vendor regarding COPPA requirements, possible risks of current practices and practical steps toward ongoing compliance. Draft and finalize manufacturing supplier agreement for use by client to obtain OEM parts for resale. Assist in due diligence and with review of asset purchase agreement for sale and purchase of consultancy, including software-related issues. Outside construction counsel for bearing manufacturer in connection with facility expansion, resulting in substantial increase of production and warehouse capacity. Organize and put into place management services agreement for management company to provide back office services to several client companies. Review and revise employment policy manual, including retail clothing business and industrial parts manufacturing company. Prepare trademark registration applications, assignments and licenses, copyright applications, assignments and licenses, and trade secret protection guidance and documents. Develop and implement subsidiary and holding company structure to provide more effective operations for client. Counsel three independent companies and prepare joint venture formation agreement, operating agreement and related documents to allow combined effort to expand to larger markets. Assist Mississippi biomass company with ownership, governance and power sales issues relating to South Carolina biomass generation facility. Assist retiring dentists with the sale of sole practices. Prepare and assist in negotiation of software license and related agreements allowing client developer to commercialize software application to multi-national corporation and other customers. Review proposed software license and advise university client in negotiation with provider. Work with developer of Minnesota wind farm, including technology and financial partners and landowners. Counsel medical device owner and prepare organizational and funding documents for international launch of product line. Member of outside legal counsel team for review and revision of engineering, procurement and construction (EPC) contract for foreign generation facility. Counsel and assist medical device inventor in partnering with manufacturing and marketing partners. Counsel and assist biotech co-inventors with entity formation and licensing activities. Represent client in formation of biomass entity and related technology ownership and licensing issues. Prepare and negotiate contract for physician with infomercial producer to obtain practice-promotion video. Counsel physician-client regarding practice combination with other physicians to create a new specialty practice. Advise manufacturing business owners regarding succession planning and buy-sell arrangements. Jim counsels domestic and foreign businesses and individuals, helping with cybersecurity and privacy issues and operational and strategic relationships and transactions through his focus on manufacturing, technology, education and services industries. In addition to project-based engagements, he provides outside general counsel services. He assists clients with protection and monetization of intellectual property and technology services and products, using licenses and other commercialization and development agreements. He also addresses software, web and mobile app opportunities and issues. 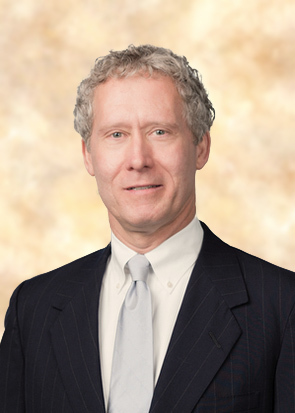 Jim strives to improve each client’s position by understanding unique circumstances, challenges and objectives, and translating complex legal concepts into practical, meaningful guidance to promote thoughtful and well-informed decision making. Jim advises clients in connection with federal laws such as the Family Educational Rights and Privacy Act (FERPA), the Gramm-Leach-Bliley Act (GLBA), the Children’s Online Privacy Protection Act (COPPA), and Health Insurance Portability and Accountability Act (HIPAA), and other federal and state privacy, data protection, and breach notification requirements, as well as global data privacy and protection laws, including the EU General Data Protection Regulation (GDPR). He assists clients with proactive planning and incident response preparation, as well as post-data breach activities, including scope of breach, mitigation and notification issues. He also helps clients address privacy and data security issues in commercial agreements and technology transactions. Jim’s business practice emphasizes counseling businesses and their owners, including entrepreneurs, startup, emerging growth and middle market companies through his corporate and business enterprise transactions practice. Jim assists new and growing companies to address entity selection, taxation classification, capitalization and funding needs, ownership issues, and entity governance. He helps clients address internal and third-party opportunities and challenges arising from daily operations, and to evaluate and effectuate marketing and distribution activities, joint ventures, mergers, acquisitions, and sales, as well as shareholder and member disputes and issues, redemptions and buyouts, and restructuring. Jim’s advanced taxation education and experience is utilized to provide further depth of analysis and advice to his business clients. Prior to practicing law, Jim worked as a chemical engineer, designing and managing construction of refinery and pipeline projects, and was a strategic analyst for processing plant location and operations planning. Through his construction law practice, he guides his clients as their facilities expand, documenting and advising on engineering and architectural design, construction, engineering, and procurement relationships, with particular emphasis on industrial and commercial manufacturing facilities and processes. Jim’s energy practice addresses petroleum, alternative and renewable energy production, refining, recovery and use, including biomass, wind and solar projects.